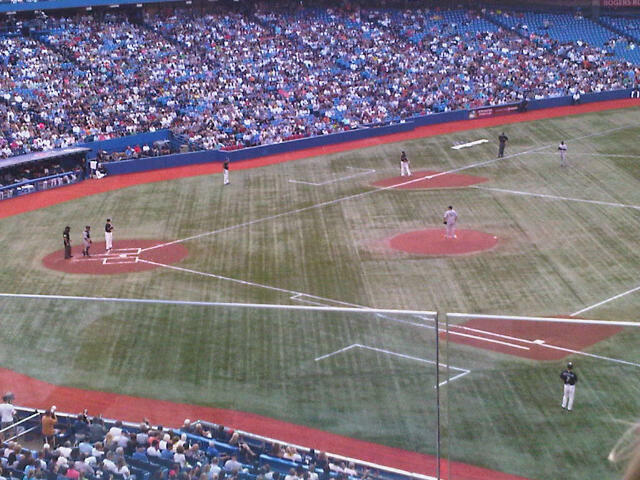 Today’s Thing I Love is The Toronto Blue Jays. It’s so…invigorating when they win! It gives the entire city an energy boost. As promised, here are a couple of pictures from last night’s game. Apologies in advance for the lack of zoom – I took them on my blackberry, so the quality isn’t the greatest. Even the cleaning crew got into the 80s spirit… check out those wigs!